There are a wide variety of photography contests that can easily be found both online and in your local community. 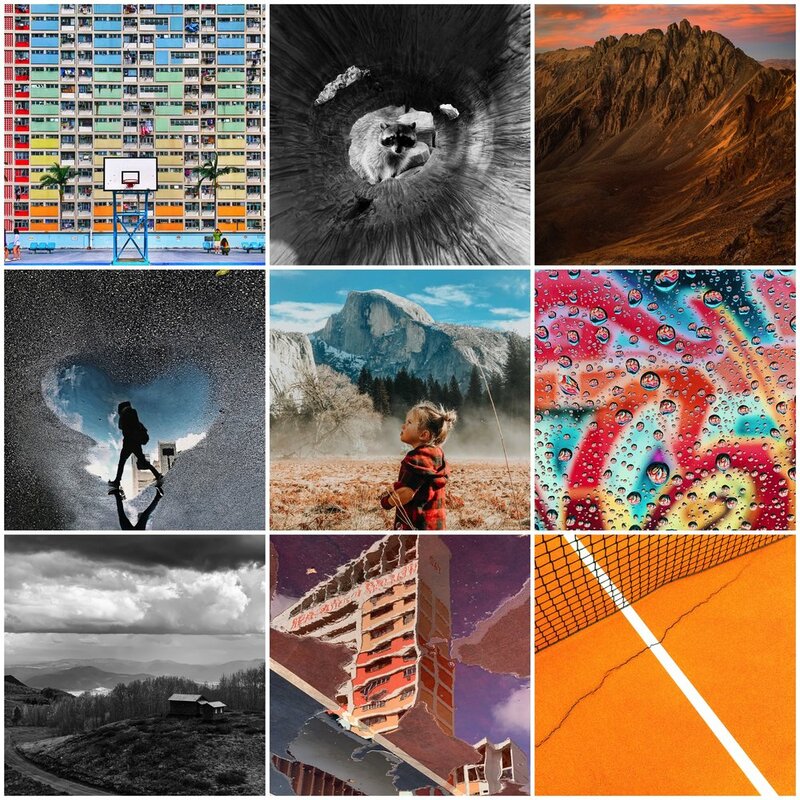 Increasingly, some competitions are aimed solely at smartphone photographers such as the iPhone Photography Awards and the Mobile Photography Awards. Less formal and more frequent are social media competitions like those run by @mobiography. While entering a competition may offer a chance to scoop prizes and gain recognition, the process can also provide the inspiration to improve your photography skills. Pushing yourself to compete against fellow photographers will help you find clarity in your subject choice and objectivity towards your portfolio. The success of winning a photographic competition may fade in time, however the lessons that you learn in competition will continue to benefit your photography long into the future. I’ve organised, managed, judged and competed in numerous photo contests over many years, I’d like to share this experience with you and offer some photo competition tips that will hopefully help you increase your chances of winning. OK, I know this can be the boring part, but it’s really important to read the competition’s guidelines, terms, and conditions thoroughly. Understand exactly what is required from your submission, it can make the difference between winning and losing. The rules of the competition will govern how many shots to submit, entry deadline, the required format and size. Are there any rules regarding the camera that can be used? - no point entering an iPhone contest with Canon shots! Some competitions also have strict rules regarding how an image can be edited and modified. If the competition has a specific theme or categories, ensure that your shot(s) fit the brief. Whilst there will generally be an acceptance of creativity and interpretation of a theme, there will be a limit to the extent that a judge will accept an image to stray from the given subject. Understand how your images will be used. Each competition will use images differently, consider the implications of how and where your images will be reproduced. I personally favour competitions that limit the reuse to association with the contest ie. winners gallery, future promotion etc. Some photographers have been unhappy in recent years as their images have been ‘farmed-out’ for wider use. You should ensure that your copyright of the images remain intact and that you are always credited by name wherever they appear. Some simple research can be invaluable, learn from others. If the competition has been run before, check out previous winning entries to see what the judges are looking for. Look up similar themed contests and learn from those successful entrants. There is no harm in familiarising yourself with the judge’s work. Look at their website and try to learn what type of image they may appreciate and what competitions they have judged in the past. After you have completed your research, you will still need to trust your instinct, do not sacrifice your creativity to what you think a judge may like. Choosing your image(s) can the hardest part of entering a photo contest. You will want to submit your best photo but it must comply with the competitions’ nominated theme. Avoid the predictable, judges will be viewing lots of images in a condensed time-span, if your image is similar to the majority of entrants then it is unlikely to have an impression. Be prepared to take shots specifically for the contest if you have doubts about the suitability of your existing images. Attempt to stand out from the crowd, choose compelling subjects with distinctive, strong composition. The judges will be looking for visual impact not mediocrity! While a dynamic and strong composition can counteract technical flaws, the success of your submission may ultimately depend on image quality. This should go without saying, but If your image isn’t focused and exposed correctly, then it has less chance of being chosen by the judge. Displaying detail in highlights (bright) and shadow (dark) areas of an image is crucial and whilst modern day devices do a great job at capturing and balancing detail, you can still be caught out in extreme lighting conditions. With every smartphone release, manufacturers seemingly reset the bar for mobile photography excellence. The feature sets on the top of the range phones are nothing short of amazing, making capturing stunning photos easier for all. With all this technology at your fingertips it becomes tempting to concentrate only on the new features. Concentrate on the basics of composition and exposure first, then make decisions on depth-of-field, long exposure etc. Don’t get drawn into using features jut because you can. Ultimately, you enter a competition to win, when you don’t win, you can feel dejected. The harsh fact is that there are more losers than winners in any competition. Failure doesn’t mean you aren’t a good photographer or that your images are poor. Do not let your passion or enjoyment of photography be curtailed by the choice of a judge. I’ve had images panned by judging panels in one competition only to be awarded first prize in another. Learn from the experience, grow a thicker skin and continue to have confidence in your shots. Joining a local camera club is a great way to gain competition experience. Choose a club who have a supporting and learning environment, who encourage participation, and have a regular competition schedule. Almost all photographic clubs and societies will run frequent competitions and have photo battles with other clubs. Never give up on your work. You will have success and failures on your photographic journey. If you don’t succeed in one contest, try another, never lose confidence in your shots. Don’t let competitions diminish your enjoyment. Take a picture to please yourself first and then decide what happens next. If you’re thinking of entering a competition then I wish you every success and I hope you found these tips helpful. You can see all the winning shots on the Apple Newsroom with quotes from the judging panel as to why they liked the photo. iPhone photographers from around the world shared their best photos for the Apple Shot on iPhone Challenge. The company asked for iPhone only submissions with the prize of featuring in Apple advertising on social media, in-store, and in the company's internal exhibitions. The photographers will receive a licensing fee for their work. The winners were selected by a judging panel made up of many prominent photographers, including the chief official White House photographer for President Obama Pete Souza, photographer Austin Mann and Apple’s own Phil Schiller. The top 10 winners came from countries including Singapore, Germany, Belarus, Israel and the US, capturing colorful city scenery, curious animals, creative reflections, the beauty of the ordinary and more. The winning submissions were taken by Alex Jiang, Blake Marvin, Darren Soh, Nikita Yarosh, Dina Alfasi, Elizabeth Scarrott, Andrew Griswold, Bernard Antolin, LieAdi Darmawan, and Robert Glaser. iPhone photographers around the world shared their best photos for the Shot on iPhone Challenge, capturing remarkable moments with the world's most popular camera. The 10 selected winners will be featured on billboards in select cities, in Apple retail stores and online.